Founded in 1853, Manhattan College—a private, independent, coeducational institution—offers an exceptional collegeeducation enriched by Lasallian Catholic values. Our celebrated faculty, small classes, and exciting internships prepare our students for a lifetime of achievement in a suburbancampus that’s located only minutes from Midtown Manhattan. 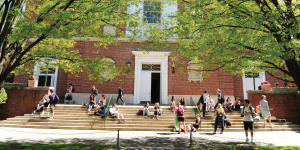 Manhattan College offers morethan 40 majors within the College’s six schools: Liberal Arts, Business, Education and Health, Engineering, Science, and Continuing and Professional Studies. The College’s nationally acclaimed Engineering andScience programs will provide youwith the revolutionary knowledgeand resources you need for a successful career. At Manhattan, your education is practical and innovative. The Patricia and Cornelius Higgins ’62Engineering and Science Center, slatedto open in fall 2020, will provide a state-of-the-art building housing laboratories and collaborative space. It will include 14 ultramodern laboratories that will support and expand teaching and research in each of the College’s Engineering and Science disciplines. An education from Manhattan College will open doors to your future. By providing our students with an exceptional education and access to cutting-edge resources, our Science graduateshave gone on to create an essentialvalve for the artificial heart and devised the key mathematical formula for oxygen transfer in surface waters. Manhattan’s Engineering alumni lead some of America’s most prominent firms. In fact, our graduates designed and constructed the United Airlines terminal at O’Hare International Airport; Philadelphia’s 65-story OneLiberty Place; the Kuala Lumpur CityCentre, home of some of the world’s tallest buildings; and the new Yankee Stadium in the Bronx. By becoming part of the ManhattanCollege community, you will receive valuable real-world experience through our internship and mentor programs that will help guide you toward professional achievement and success. Manhattan College, which is nationally recognized in the sciences, provides hands-on learning experiences and research opportunities to help prepare and inspire our students for the future. Whether you are majoring in Biology, Biochemistry, Chemistry, Computer Science, Mathematics, orPhysics, research opportunities are available to you. Recently our Science majors have completed internshipsat institutions such as Mount Sinai School of Medicine and the New York Zoological Society (Bronx Zoo). Our Science graduates also gainadmission to leading doctoral programs and medical schools. In fact,Manhattan College is one of a select number of undergraduate collegeswith a chapter of Phi Delta Epsilon,an international medical fraternity. Furthermore, our research programs and facilities have received funding from the National Science Foundation, the Pew Charitable Trusts, the HowardHughes Medical Institute, and other prestigious sources. Founded in 1892, Manhattan’s School of Engineering enjoys an international reputation for excellence and is recognized as a top-ranked program across the nation as well. This standard of excellence upheld by the College hasled the National Academy of Engineers to induct 18 of the College’s Engineering and Science alumni into their institution. Additionally, our graduates hold top positions in majorfirms and agencies, and the Collegeis a center of international professional activity, including the Institute inWater Pollution Control, an annual summer institute drawing engineers from around the world. 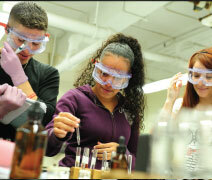 At Manhattan College, students maychoose from accredited undergraduate majors in Chemical, Civil, Computer, Electrical, and Mechanical Engineering. Graduate study at the master’s level is available in Chemical, Civil, Computer, Electrical, Environmental, and Mechanical Engineering programs. Each of these programs also offers the seamless accelerated degree option, through which students can earn both BS and MS degrees. The master’s program in Civil Engineering offers a concentration in Construction Management, and the School offers an accredited Master of Environmental Engineering degree. Graduate Engineering certificate programs are also available. In addition, the School of Engineering is a New York State–approved provider of Continuing Education Hours (CEH) for Professional Engineering License registration, and there are a variety of opportunities available for earning CEH credit. Students in Engineering and Science have a number of opportunities to participate in research projects. Research allows you to gain a deeper appreciation for the discipline, clarifycareer goals, and establish relationships with faculty members. The experience builds both hard and soft skillsthat are easily transferable—in graduate school and the job market. In the School of Science, studentsare encouraged to participate in research projects in collaboration withprofessors, including writing papers and presenting at conferences. Eachyear, all School of Science students’research papers are published in theManhattan Scientist, a journal dedicated to the work of Science students. Recently, several School of Engineering projects have made a national impact in the engineering field, including an EPA-funded project on sustainable concrete and a group of chemical engineers who are helping reduce the country’s carbon footprint at the Idaho National Laboratory. Internship opportunities abound in New York City and the surrounding metro area. Many students connect with our Science and Engineering alumni, a collection of Jaspers who work at more than 800 companies and agencies around the world. 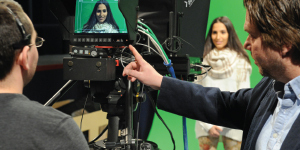 Manhattan College offers studentsthe best of both worlds: an intimate,close-knit campus located in NewYork City’s suburban Riverdale community and easy access to one of the most exciting cities in the world—New York.